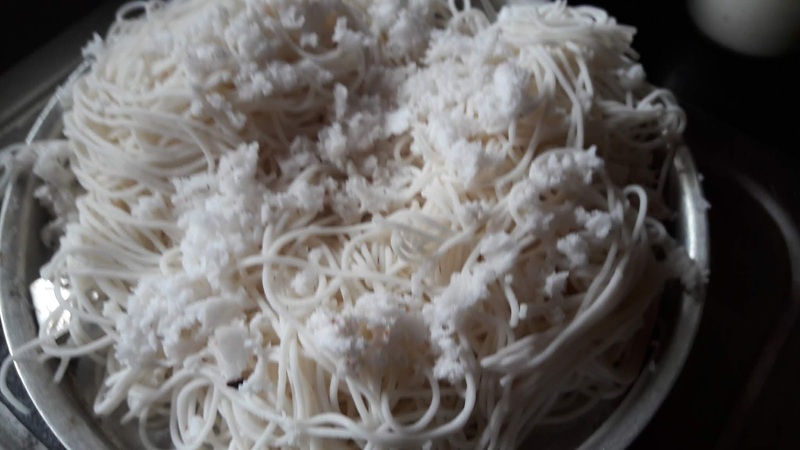 String Hoppers Recipe, Idiyappam is known as Nool puttu – Noolappam- Sevai – String hopper, Rice noodles… Noolappam is a Kerala’s traditional breakfast recipe which is made from homemade roasted Rice flour and grated coconut and serve with chana masala, veg stew or non veg curries. 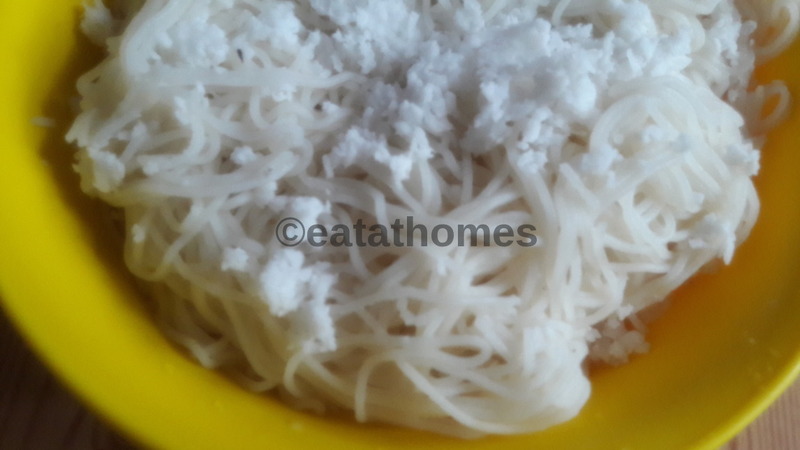 No yeast, No fermentation, No oil , No preparation just quick & super healthy breakfast String Hoppers Recipe for daily breakfast & kids tiffin. Spoonful thick coconut milk in this String Hoppers Recipe gives a soft , unique, rich taste to noolappam also softness of the recipe depends upon the measurement. 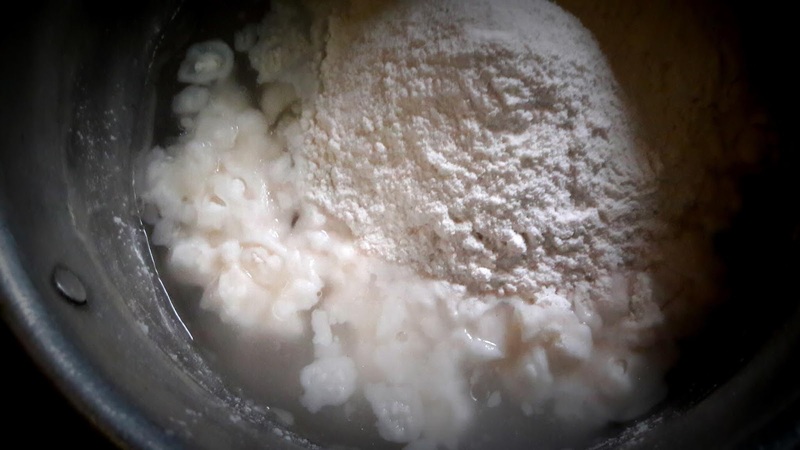 ( 1 cup rice you need 3/4 hot water, 1/4 cup coconut milk). String Hoppers Recipe mould/maker is key ingredients for this recipe. 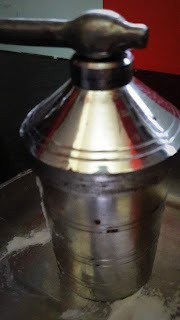 String Hoppers Recipe maker can use to make variety of dishes like kurdai (wheat fritters), chakali, homemade shevai (semiya ) noodles etc. 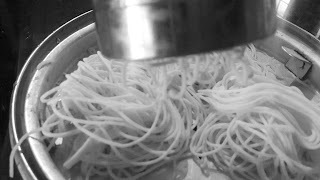 String hoppers going best combination with egg curry, chana (kadla )masala or chicken curry. My daughters love this string hoppers with sugar. Here is the step – by step Pictorial recipe for making perfect string hoppers. 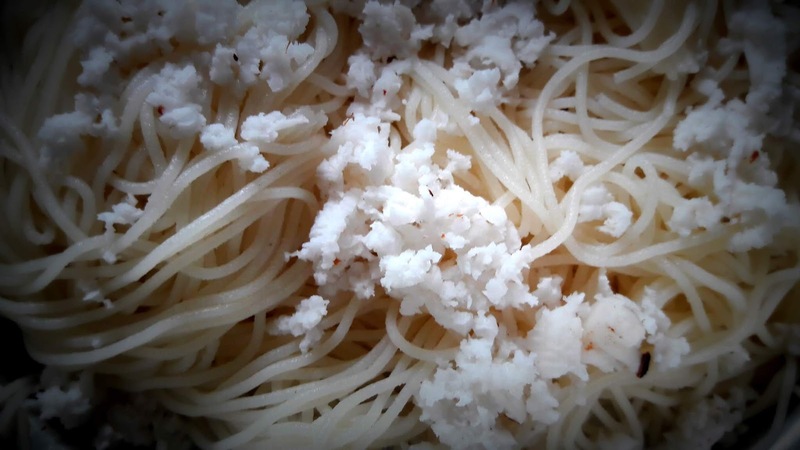 1/4 cup of grated coconut. 1) Take the 1 cup roasted rice flour . 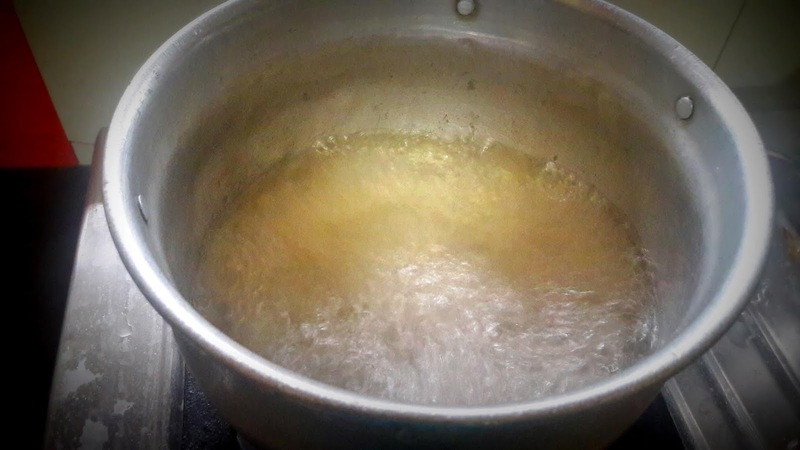 2) Heat the water in a vessel, add the salt and 2-3 drops of oil / ghee. 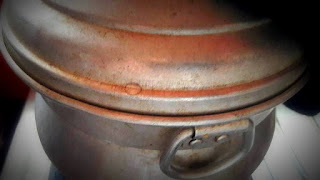 3) When the water boil switch off the flame. 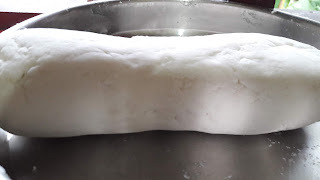 Slowly add rice flour in hot water and keep aside 5 minutes. 5) greased noolappam maker and steamer plate (use for steaming noolappam) with oil and keep aside. 6)Take out some portion of the dough in your hand and press it to form a log shape open the greased noolappam press it to form out log shape . 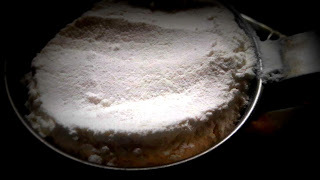 7) Take idli stand add 2 cup water , close lid and keep it for preheat. 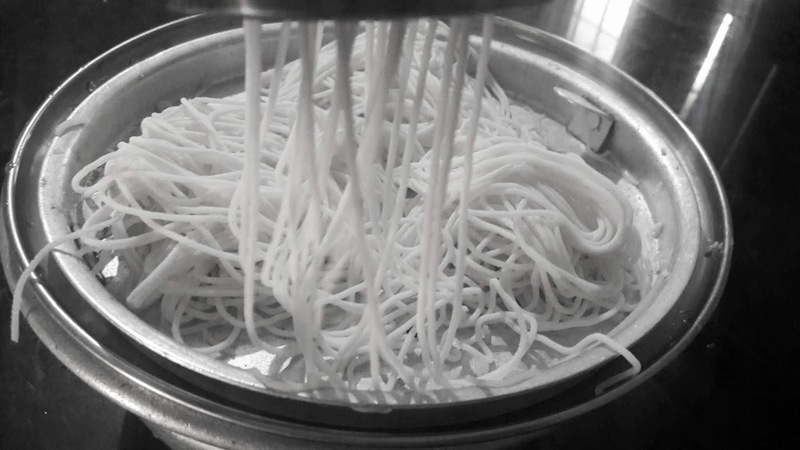 8) Squeezing the dough to the steaming plate to form a noodles. 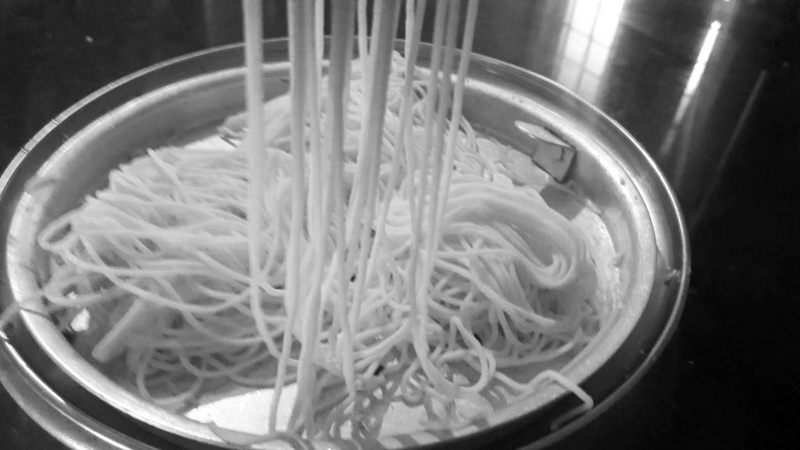 9) Plate ready for steaming. sprinkle some fresh grated coconut on top. 13) Transfer it to a bowl. Serve with coconut milk, Chana masala, Vegetable stew, Egg curry etc.